During the holiday season, many people look forward to going to parties and other social gatherings with friends and family. Unfortunately, some of these festivities end in tragedy when someone makes the choice to drink and drive. Mothers Against Drunk Driving (MADD) is attempting to put a stop to drunk driving with its annual “Tie One On For Safety” campaign. The campaign is one of MADD’s largest community awareness projects and it is easy for you and your loved ones to get involved. What is the Tie One On For Safety Campaign? The “Tie One On For Safety” campaign begins in November and lasts until the end of the holiday season. The purpose of the campaign is to educate people of the dangers of drinking and driving and advise them on how to avoid driving while intoxicated. “Tie one on” refers to drinking alcohol, and MADD uses it to draw attention to the dangers of drinking and driving. If you would like to get involved with the campaign, there are many ways to participate. Consider the following options. MADD gives out red ribbons and window decals to promote its campaign. Stick one on your vehicle to raise awareness. The main goal of the campaign is to promote using a designated driver when you go out for the night. If you are going to be drinking, ask someone you trust to be the designated driver for the evening. This person will stay sober and safely drive everyone home at the end of the night. Many people make the mistake of choosing the designated driver towards the end of the night when it is time to go home. In many cases, everyone in the group has been drinking all night, so the designated driver ends up being the person who drank the least, but is not necessarily sober. That is why it is so important to choose a designated driver before the drinking begins. 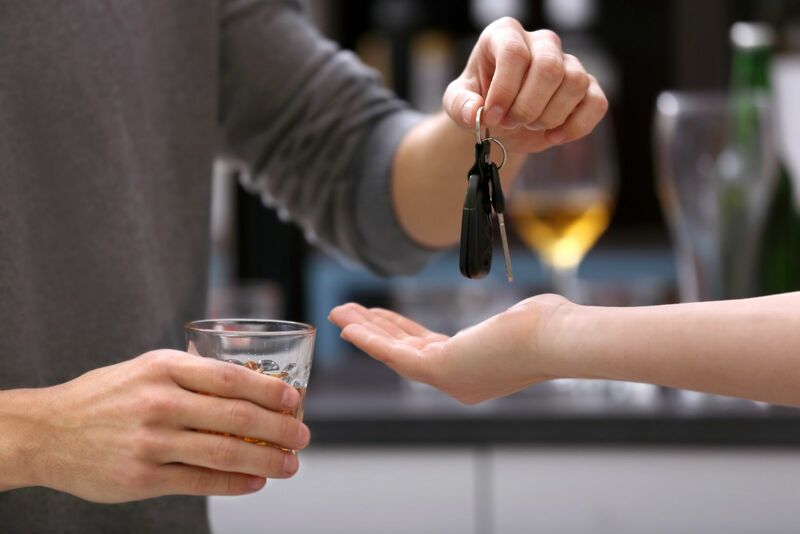 Another common issue is that designated drivers do not always completely abstain from alcohol, but rather just have “one or two drinks.” While a couple of drinks may not seem like a big deal, they can still cause impairment. Make sure your designated driver refrains from drinking altogether to avoid devastating consequences. If you are unable to get a designated driver, you have other options for getting home. A few common options include using ride-sharing apps such as Uber and Lyft or calling for a taxicab. Many people elect to throw their own holiday parties during the season. If you decide to host an event at your house or office, make sure that your guests have access to non-alcoholic drinks and have a safe way to get home. If a guest appears too intoxicated to drive, help them find a ride home or offer them a place to stay. Why Raise Awareness of Drunk Driving Crashes? According to the National Institute on Alcohol Abuse and Alcoholism, the number of alcohol-related accident fatalities is two to three times higher than it is the rest of the year. In fact, 40 percent of road fatalities during the holiday season involve a driver who is impaired by alcohol. Driving while intoxicated can cause serious accidents, resulting in devastating injuries and even death. MADD’s campaign encourages you to be safe this holiday season by staying sober while behind the wheel. And if you spot a drunk driver, report them. See our post on alcohol-related accident statistics.